Niagara IceDogs (2-1-0-0 | 4pts) vs North Bay Battalion (1-2-0-0 | 2pts) 7:00pm. 1) Tonight’s game marks the first between these two Central Division rivals this season, and just the second home game of the season. 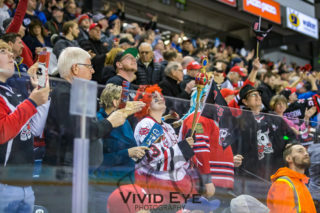 2) In 2017-2018, the IceDogs took the season series 4 games to 2. The IceDogs outscored the Battalion 24-17 last season. 3) Kirill Maksimov and Ben Jones collected at least one point in every game against North Bay in the 2017-2018 season. Jones picked up 5 goals and 4 assists, while Maksimov collected 4 goals and 6 assists. 4) Ben Jones (3G, 2A) – Kirill Maksimov (1G, 3A) are currently on a 3-game point streak. 5) 2018 CHL Import Draft selection Kyen Sopa scored our first home goal of the season, and his first OHL goal early in the 2nd period of last nights’ home opener. 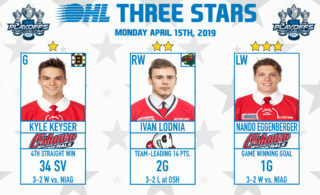 6) 2018 CHL Import Draft selection Daniel Bukac was credited with his first OHL point, with an assist on Sopa’s game opening goal. 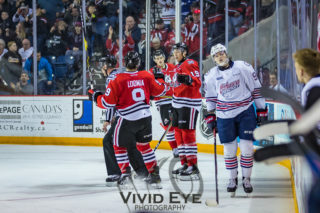 7) The IceDogs have the 15th ranking home powerplay, and the 7th ranked home penalty kill, with a 100% efficiency rating. 8) The Battalion’s away power play ranks 15th with 0% efficiency, while their away penalty kill is ranked 4th with 100% efficiency. 9) After their first three games of the season, Battalion forward Matthew Struthers, leads North Bay in points, with 4 (2 goals and 2 assists). 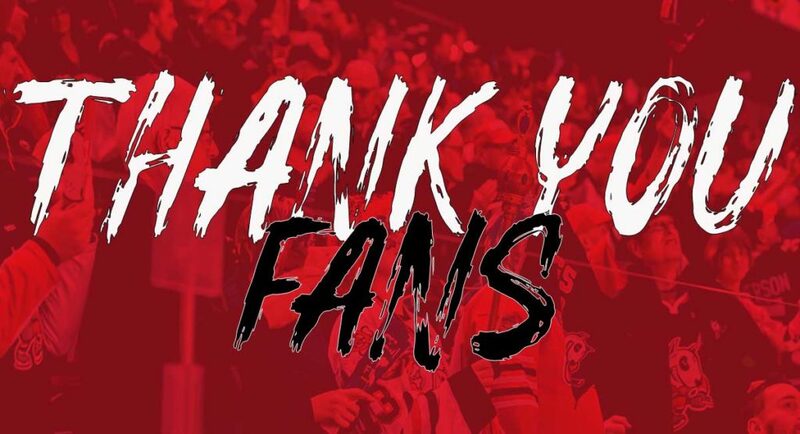 10) In the 2017-2018 season, the IceDogs finished the season fourth in the Eastern Conference, with 80 points, while the Battalion finished in 6th, with 70 points. Tonight is Goodwill Niagara Donation night! Be sure to bring your donations to any Meridian Centre entrance, and receive a $2 ticket voucher to our October 24th (Halloween game) against the Peterborough Petes in exchange!